The ABC will end its shortwave transmission service in the Northern Territory and to international audiences from 31 January 2017. 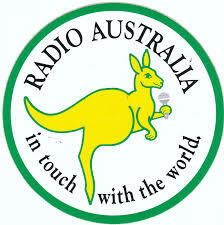 700,000 people, increasing the overall reach of ABC digital radio to 60% of the Australian population. 139 994, online at abc.net.au/shortwave, or via ABC Local Radio (Darwin <http://www.abc.net.au/darwin/> and Alice Springs <http://www.abc.net.au/alicesprings/>). Footnote: Reach Beyond will be the only SW broadcaster left in Aussie.